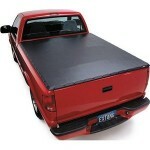 The Extang FullTilt Vinyl Tonneau Cover is designed for people who actually use their beds. Unlike standard bed covers, the FullTilt Tonneau Cover is hinged at the cab and tilts up on gas shocks, so you can get into your entire truck bed with ease. 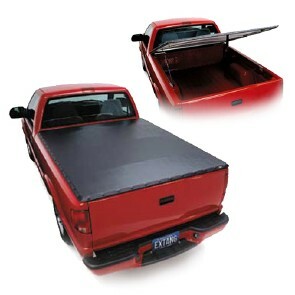 Plus, the FullTilt rolls away or comes off completely without tools, so your truck bed is never short on storage space.